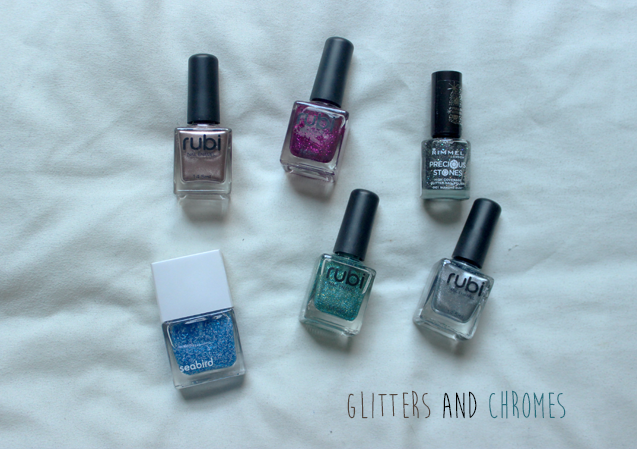 I've had this blog going for a while now and having shared a few insights to my nail polish collection I thought it was about time that I shared the entire thing actually used this post as an excuse to go through it all and chuck out the bad gross ones and the ones I don't ever use. 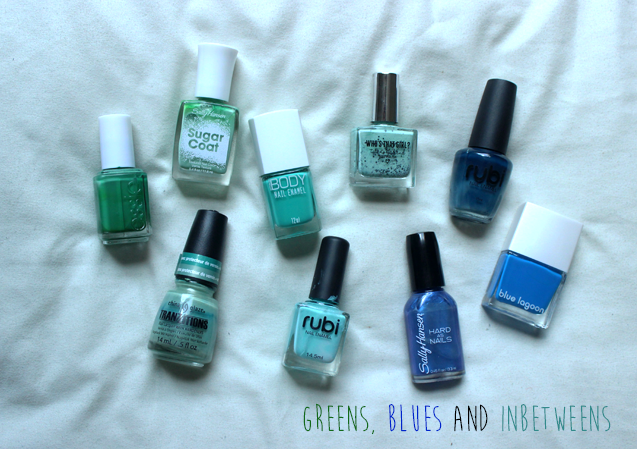 There's a few extras such as top coats, stripers/nail art pens, and gel polishes as well which I didn't include but here's the proper regular polishes! Beware for a very photo heavy post! 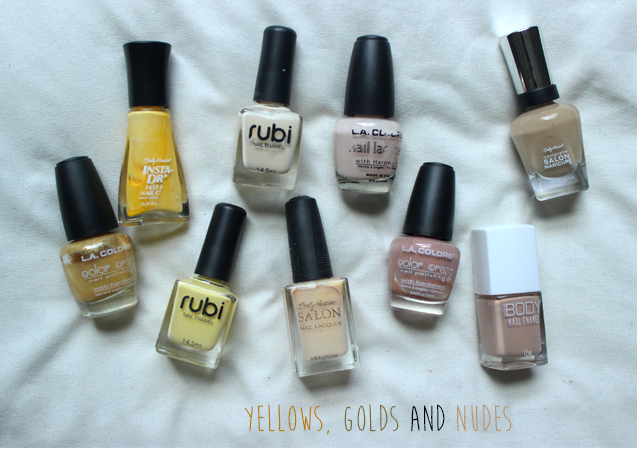 Some of my favourites include Cry Me a River, Orange it's Obvious and Honey Whip. I'm looking forward to posting some nail tutorials in the near future and maybe some 'nails of the weeks' if you're interested in that? 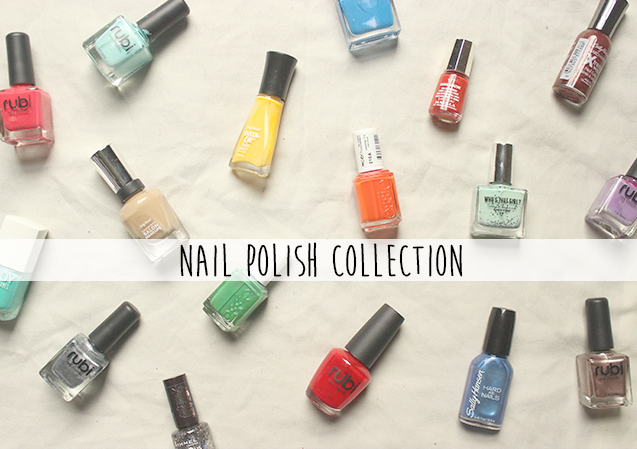 10 comments on "Nail Polish Collection"
Looks like a good range of colours. 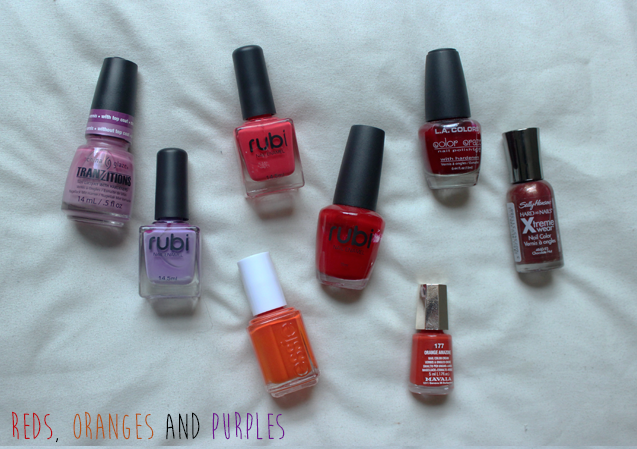 What are the Rubi shoes polishes like? I've never tried them. That's a lot of nail polish! I love the orange one! I think I have a problem oops! 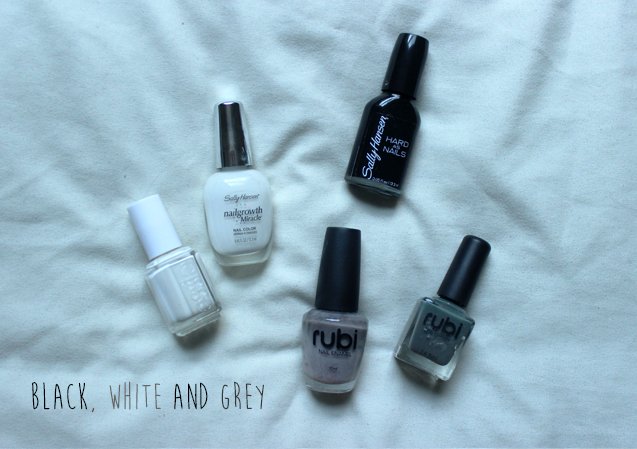 I loooove nail polish! i have quite alot! Yay Disqus!! Also seeing people's nail polish is one of my FAVOURITE things. EVER. Love love love.